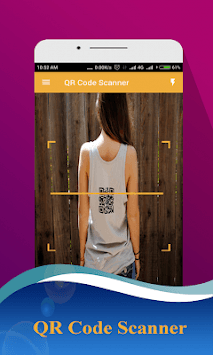 QR code scanner can scan and read all QR and barcode types including text, URL, product, ISBN, contact, email calendar, location, Wi-Fi and many other formats. You can use QR & Barcode Scanner to scan coupons codes to receive discounts and save some money. Scan product barcodes with QR code scanner in shops and compare prices with online prices. While scanning a QR code, if the code contains a website URL, text, contact phone numbers, email addresses and other info, you will be prompted to take the appropriate action. 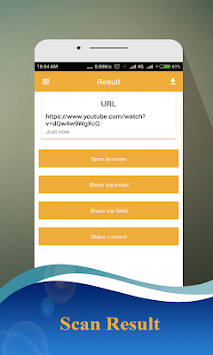 you can create and generate own QR Codes and Barcodes and share with your friends via social networks, email, text messages. You can also save them for later use or print. 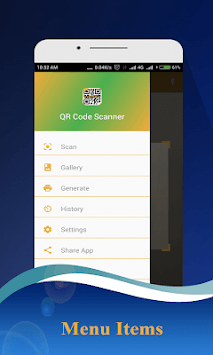 QR & Barcode Scanner / QR code creator is simple and easy to use. Point to QR or barcode you want to scan and app will automatically detect and scan it. No need to press any buttons. Scans all standard 1D and 2D code types including all QR code & barcodes. Such as text, URL, product, ISBN, contact, email calendar, location, Wi-Fi and much more. Point camera to focus on QR code and app automatically decode it. For low light and darkness. Just turn on flashlight. Auto save all scanned Qr code in history for later use. Scan QR Codes on business cards to save contact information to your phone. Scan QR codes to set up credentials and connect WiFi easily.